Use Babelzone with Puffin Academy! 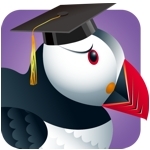 The Puffin Academy app enables Adobe Flash based educational websites on the iOS and Android platforms. after this use the username/password created to enter the site.